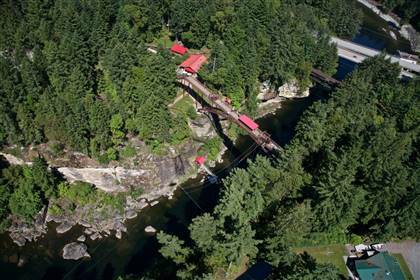 Located next to the Nanaimo River our Park includes a treetop adventure course, a Bungy Jump and Primal Swing bridge, Ziplines, and 40ft jump. We have a large guest services area resembling a log cabin, a volleyball court and a fire pit area. We have lots of available parking and a helicopter landing pad.